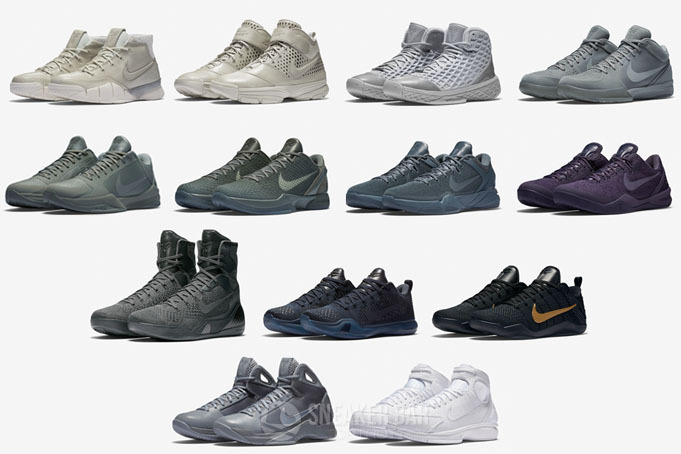 As Kobe Bryant’s career fades to black, Nike Basketball will be saying farewell by releasing an inspired Black Mamba Pack that includes all the Nike silhouettes he wore during his NBA career. The Nike Huarache 2K4 kicks things off in an all-White release that is constructed with premium leather and comes complete with Kobe’s logo stitched on the toe and custom leather hangtag. Check out the official images below and look for the Nike Zoom Huarache 2K4 FTB of the Black Mamba Collection to begin releasing tomorrow, March 22nd, 2016 via the Nike SNKRS app and at select Nike retail stores. The retail price tag is set at $200 USD.